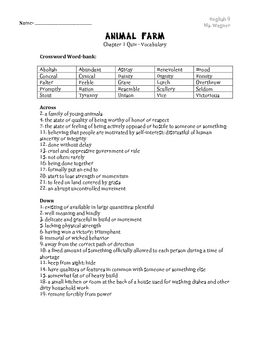 Ten Animal Farm Chapter Quizzes (Vocabulary and Comprehension). Includes crosswords for the vocabulary and multiple choice for the comprehension. It is a motivating way for students to study the novel.